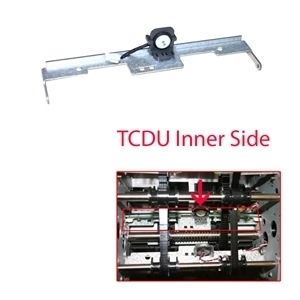 Cash dispenser sensor, inner side sensor and bracket for ultrasonic TCDU for Genmega and Hantle ATM models. Cash dispenser sensor, inner side sensor and bracket for ultrasonic TCDU. This is only for the inner side for a pair of ultrasonic sensors in a TCDU.